If you plan to buy a GPS before setting out on your next adventure, set the target destination as The Kruger Park’s administrative HQ at Skukuza, which is also, fortunately, the Park’s largest camp. The camp is equipped with a bank, library, telephones, doctors and police station, and can play host to over a thousand guests (six hundred and thirty guests can be hosted in beds, while another 480 can be accommodated in campsites). 8 kilometres from the Numbi Gate is the Pretoriuskop Camp; the camp is great for family summer vacationers as it is a relatively cool area, and has a large, shallow pool for kids. There are 344 beds available for guests, and a further 240 people can be hosted by the campsites. For business trips and even marriages, Berg-en-Dal is equipped with conference facilities and also contains a useful swimming pool. Malelane is a Private Camp, which must be bloc-booked and is a kilometre from the Malelane Gate. Being private, the camp can only sleep a total of 19 people. The only camp in the Park to be named after a novel (Sir Percy Fitzpatrick’s “Jock of the Bushveld”), the Jock of the Bushveld camp has been turned into another privately owned and run lodge. The Napi, Bushman and Wolhuter walking trails can all be found in the road-less and truly wild region of the south western park. The trails are highly rated for their rich diversity and density of plant and animal life. In addition, the landscapes associated with the trails are also well known and worth the effort. In addition to the trails, another place worth visiting is the Afsaal picnic spot, situated about halfway between Skukuza and Malelane. The picnic spot has hot water, ablution blocks and a little shop. The Albasini ruins, about forty kilometres west of Skukuza are the ruins of the homestead of the first white inhabitants of the Lowveld. There is also a small display of some items that were discovered when the ruins were excavated some years back. Just off the Malelane road, and about 12 kilometres south of Sikukuza, is the pleasing Shirmantanga hill viewpoint. At the viewpoint is a plaque in remembrance of Colonel Stevenson-Hamilton, whose ashes were scattered here. One last look out point in the region worth a visit is situated at Granokop, about five kilometres northeast on the Skukuza to Pretoriuskop Road. Without doubt, the Kruger National Park and its surrounds are one of South Africa’s finest achievements to date, and should be regarded as a must see for anybody touring the country – both local and international tourists alike. The richness of the game, the variety of species and the particular flora found in the region all contribute to making the Kruger Park an ideal model for the meeting of commercial interest and nature conservation. 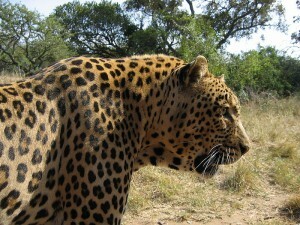 As eco-tourism becomes more popular in the world market (as natural environments around the world continually give way to the interests of an ever growing human population), nature conservation areas and parks like the Kruger will become a rare phenomenon worth their own weight in gold, clearly indicating that Africa’s true wealth lies not in its mineral and mining resources, but in its potential to treasure the wonders of nature, upon which all life depends.